At the Grace Hopper Conference, Ginni Rometty, our chairman and president said that “past is prologue. And it is a fact that women have helped drive every era of technology we have known to date.” From 1899, when we hired our first women employees to today – attracting, retaining and developing female talent across the world is not only essential to IBM’s culture, it’s a business imperative. 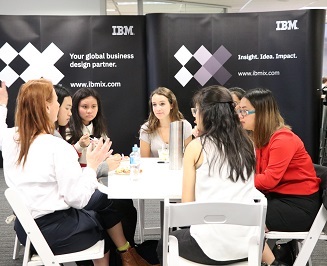 To support the leaders of tomorrow, IBM recently hosted a Women’s Leadership Breakfast for 50 female university students at the Sydney design studio. In a world where the demand for gender parity is stronger than ever before, this event was but one of the thousands of initiatives IBM has taken to advance diversity, inclusion and women in the workplace. The breakfast was a speed networking and mentoring event and was directed at aspiring young leaders. Our goal was to show them where a career at IBM could take them and provide advice for post-graduation. The event embraced the importance of women at IBM and their role in IBM’s future – to lead now, more than ever before. We kicked off with a surprise appearance from A/NZ Managing Director, David La Rose, who spoke to many of the participants one-on-one and shared his experiences with IBM. After that, Jill Bye, the A/NZ HR Director, gave an opening speech where she spoke about her journey and emphasised that trailblazers and ‘wild ducks’ truly belong at IBM. Participants were then allocated to one of the nine roundtables, where they conversed with an influential female IBMer. Every 30 minutes, they rotated to a new table or a presentation skills / personal branding workshop. It was wonderful to see the participants so energised by the experience. “It was truly an inspiration to hear all of this from a female perspective on how they inspire others, take charge, and execute goals,” said Andrea Wu, an Aviation Student from UNSW. We have always recognised that women play a critical role in our global economy. 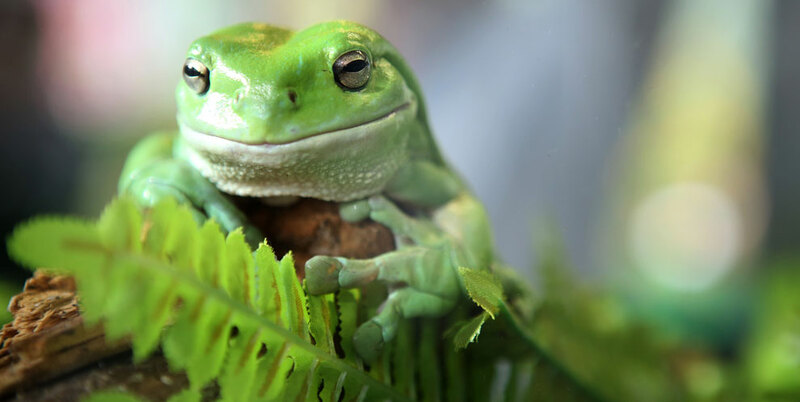 We believe that they must be present in the industry to drive innovation in all sectors. Having had the opportunity to meet all these talented young women, we can confidently say the future is looking bright.